Once cooked, add your favorite ingredients! Original recipe from Betty Crocker. Preheat oven to 375°F. In large bowl, mix strawberries and ¼ cup sugar (or Sevia); set aside. 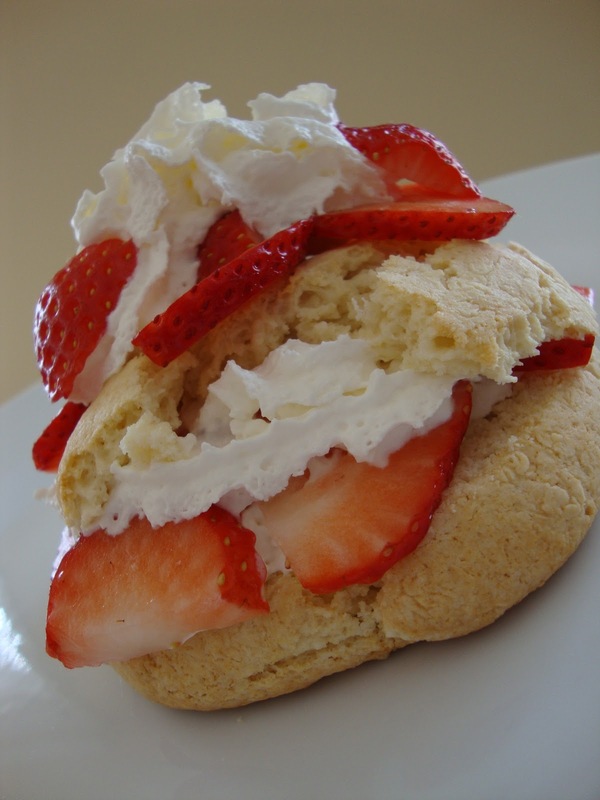 Split warm shortcakes; fill and top with strawberries and whipped cream. Original recipe from Everyday with Rachael Ray February 2012 magazine. In a bowl, season the ricotta with salt and pepper. Stir in the Parmigiano-Reggiano, garlic, parsley, basil and thyme. Place some of the ricotta mixture on each butterflied piece of chicken and fold the breast over. Drizzle with EVOO and wrap with prosciutto. Heat an ovenproof skillet with a drizzle of EVOO. Add the chicken bundles and brown over medium-high heat, turning once, for 4-6 minutes. Transfer to the oven to cook through, 12-15 minutes. Remove the chicken from the pan and deglaze the pan with wine. Swirl in the butter. Spoon the sauce over the chicken to serve.